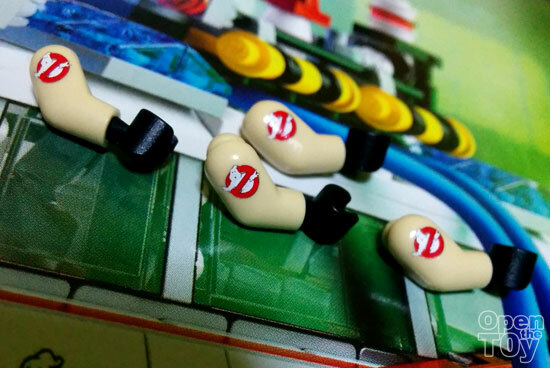 While I enjoy my LEGO Ghostbusters Ecto-1 toys, it kinda bother me that the uniform of the Ghostbusters lack of more Ghostbusters' logo. 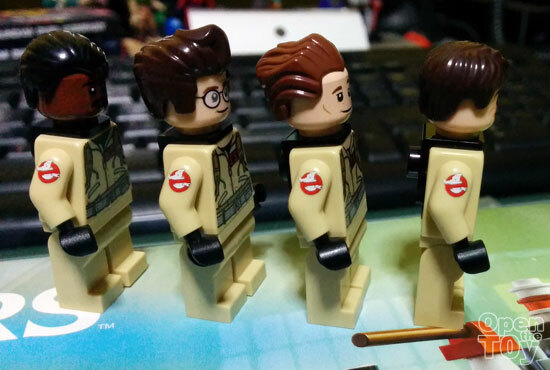 You can see the whole uniform of all 4 Ghostbusters do not have the Ghostbuster's logo. Why is there such lack of details. I am not the only one that is being bother by the way. At such some third party have done a solution to resolve this issue. 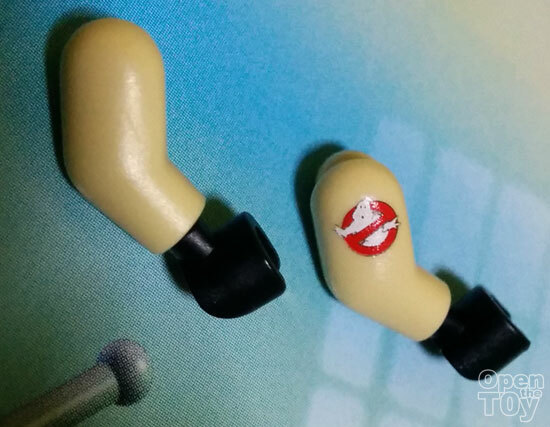 Here is four right arms of Ghostbusters arms that have the Ghostbusters logo on it. Like you, I am concern that this third party add on do the color scheme of the replacement hands look different in shades. Here is a comparison of the Original without logo arms and the one which does from the third party. The toning was good. You can see in the close up the logo is much like a sticker. Here are all four of them with the change of the arms with the Logo. Did you see the effect of the Ghostbusters? I still couldn't understand why such detail were left out. You know fans are buying this series and if they want to honor the franchise, such minuet details will not slip through fans. And to complete the look, collectors will buy more just to have the better effect. This is a custom item made by NACM (Not A Custom Minifig) they are sold in pairs not one side only.